Images from Scarborough Historical Society, Bruce Thurlow, Friends of the Scarborough Marsh, Maine Audubon and Scarborough Marsh Audubon Center. Realizing that this significant coastal wildlife habitat was severely threatened, in 1957 the Maine Department of Inland Fisheries and Wildlife (MDIFW) began a twenty-year process of acquiring the marsh. The Scarborough Marsh is now owned and managed by the MDIFW. 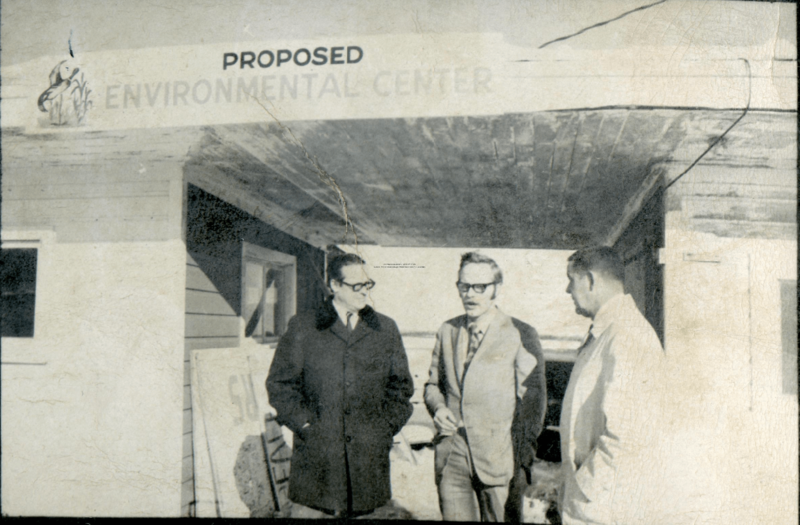 In 1972 Maine Audubon initiated a partnership with the MDIFW to create a nature center at the edge of the marsh. The Audubon Center offers a variety of guided and self-guided walks and canoe tours as well as canoe rentals, a nature trail and exhibits. There are also an aquarium, mounted birds and animals, and interactive exhibits. Today the Scarborough Marsh is a classroom for school children, a delight for birders, a laboratory for biologists and naturalists, and a prime territory for fishermen and hunters. In 2000, a group of volunteers and representatives from town, state and federal commissions and agencies organized as the Friends of Scarborough Marsh (FOSM). This group is dedicated to the conservation, protection, restoration and enhancement of the Scarborough Marsh watershed. These concerned individuals and groups continue to be successful stewards in assuring that the Scarborough Marsh will remain a highly productive ecosystem and wildlife habitat. Acts and Resolves of the Legislature of Maine. Cumberland County Registry of Deeds. Book 100, page 571. Domingue, Robert. The Village of Cockell: An Illustrated History of Pine Point, Maine. Wilmington, MA: Hampshire Press, 1988. Fogg, John D. “Recollections of a Salt Marsh Farmer.” Seabrook, New Hampshire: Historical Society of Seabrook, New Hampshire, 1983. Lamson-Scribner, F. “Grasses of a Salt Marsh.” Yearbook of the Department of Agriculture. Washington: Government Printing Office, 1895. Van Cott, Leslie. “A Brief Scarborough Nature Center History.” Audubon Nature Center Collection, 5 May 1983. This entry was posted in Scarborough Marsh and tagged Audubon Center, FOSM, Friends of Scarborough Marsh, Maine Department of Inland Fisheries and Wildlife, MDIFW. Bookmark the permalink.